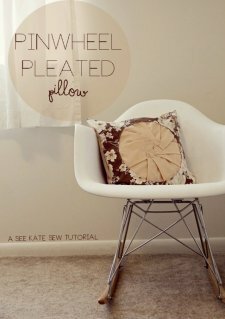 "Yesterday I shared my pinwheel pleats dress that I made about 3 years ago. Today I’m sharing the technique to make circular pleated insets. 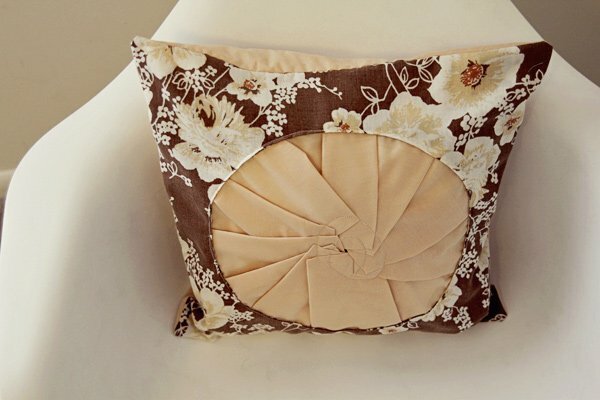 You can do this on anything, I’ll show you how to make it into retro pillow. "You’ll need two colors or prints of fabric. I used a vintage sheet and a solid peach color for the backing and pleats."